The uncomfortable truth is: shipments do get damaged. It happens rarely in the freight industry (to less than 1% of shipments) but it does happen, and we understand that it can have a huge impact on your business being conducted effectively. However, it also holds true that these accidents are often preventable. That’s why we’ve assembled some helpful information — to fortify you against damages, and to prepare you in case of an incident. How do I prevent my shipment from getting damaged? The most important thing you can do to prevent damage (and your cargo will thank you for this) is to package your shipment properly. To start with, we always recommend to all our shippers to palletize their cargo. 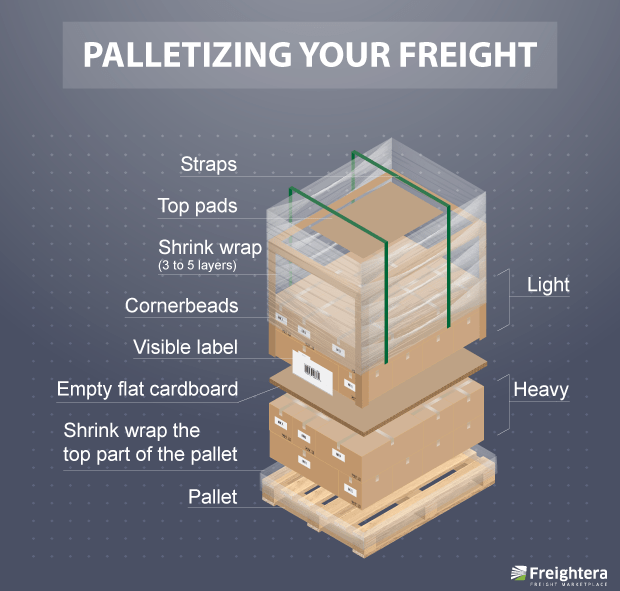 Palletizing is neither hard nor expensive, it can be a cheaper shipping option (as quoting for 1 pallet is often cheaper than quoting for 40 loose boxes, for example), and it protects the cargo. Palletizing is just the beginning. If your shipment is fragile you may need to take additional steps, such as to make sure to shrink-wrap it and then secure it to a pallet, or even put it in a crate. Please keep in mind that carriers reserve the right to inspect the cargo prior to shipping, and they may refuse to ship if they deem the cargo not sufficiently protected. Okay, my shipment got damaged. What now? You’ve taken all the necessary precautions, and your shipment still got damaged. Here’s how to proceed. Most importantly: always inspect your shipment before signing your POD and note any damages or missing pieces on the POD. This helps you with filing the claim with the carrier later — not noting damages on the POD might weaken the claim, as nobody can prove that those damages didn’t occur after delivery. 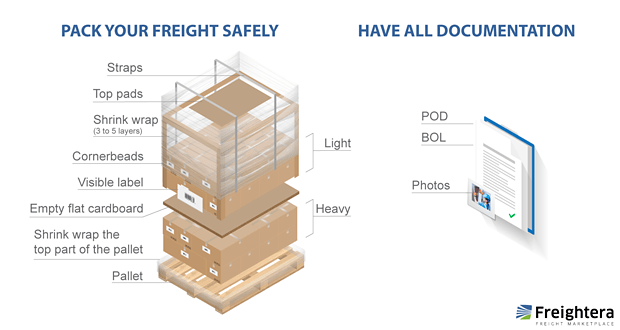 Secondly, take pictures and gather as much documentation on your freight as possible. Photographs of items showing damages and the carrier’s Pro # sticker in the same photo links the damage with the specific carrier Pro #. 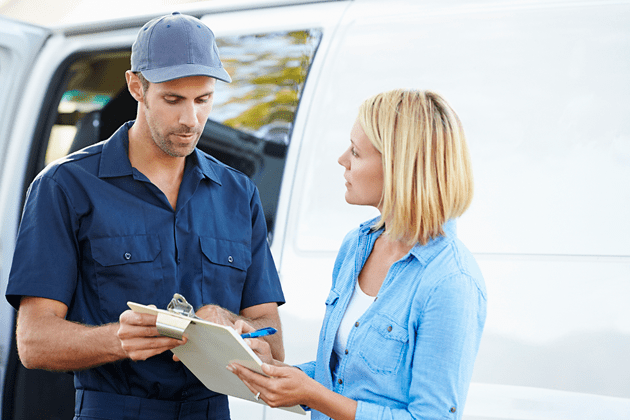 Documents such as supplier invoices or commercial/custom invoices showing the cost of damaged goods, weight and inspection reports — all these will help your claim. Finally, respond quickly. Most carriers require immediate notification of damages, or within 24-48 hours at most. Carriers who offer expedited services may require sooner notification. Remember that you can always refuse damaged shipments at the delivery location. This immediately indicates the problem to the carrier. Please notify the carrier first, after you have downloaded the claims forms from their website. Next, please contact our client care at (800) 886-4870 ext. 1 or at clientcare@freightera.com to request full and complete invoice. We can also provide you with the carrier claims forms. I have filled in the claims form. What else do I include in my claim? Signed documentation: PODs or BOL’s stating damages from shipper or consignee. Photographs: before and after if possible, and preferably showing damages and carrier Pro. # in the same photo. Emails and correspondence: between clients or consignees and carriers, partner carriers, drivers, Freightera employees, etc. Complete Freightera invoice including any and all additional charges. Your supplier’s invoice showing cost of damaged goods. Please don’t hesitate to call us at (800) 886-4870 Ext. 1 or email clientcare@freightera.com if there is anything we can do to support your claim process. We can help you by providing any relevant documentation that we have access to including the client’s invoice, POD, BOL, weight/inspection reports, bond docs, and/or claim forms. We can also provide carrier contact information if you need it.